SALT LAKE CITY (AP) — Thomas S. Monson, the 16th president of the Mormon church, has died after overseeing the religion for nearly a decade. He was 90. 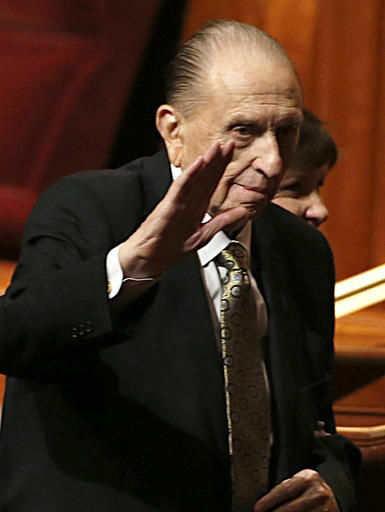 As president of the nearly 16-million member religion, Monson was considered a prophet who led the church through revelation from God in collaboration with two top counselors and members of the Quorum of the Twelve Apostles.